Cloned from Derpberd by zephram. See also Derpberd Extra Bold by zephram. A bold variant of Derpberd, again made to have a constant height in order to be suitable for pixel comics. 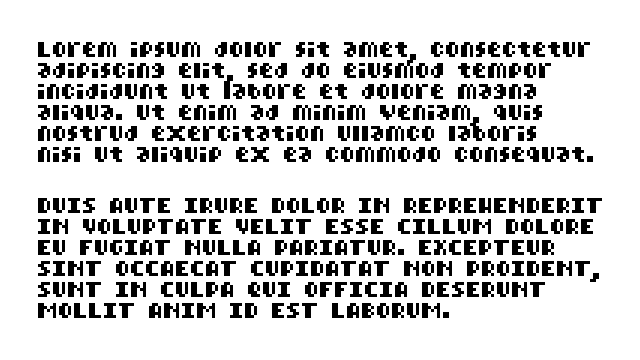 Most of the character widths are unchanged, but some (like m and w) had to become 1px wider for the bold style to work. Info: Created on 6th February 2018 . Last edited on 8th February 2018. I like this very much. Good job!